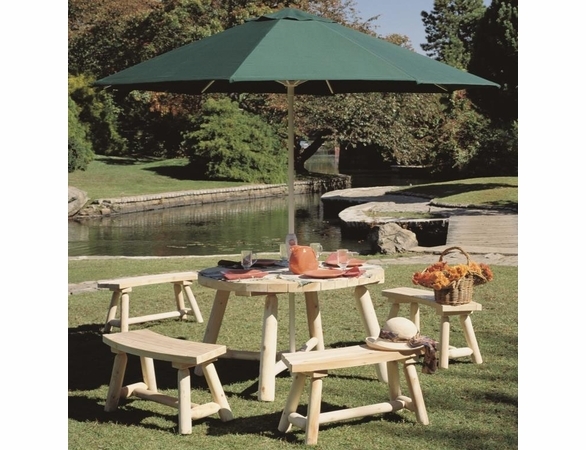 White Cedar Log Round Picnic Table Set from Cedarwood Furniture. 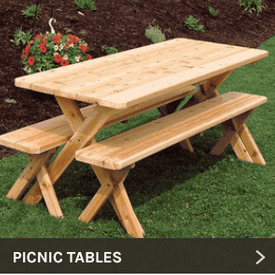 Made in Canada of sturdy logs that are naturally weather- and insect-resistant, this round cedar picnic table with benches includes one 28”-high table with a 48”-diameter top and a hole for an umbrella (not included). 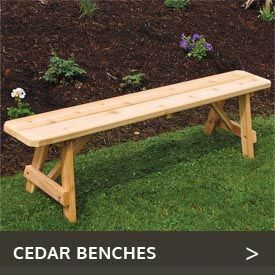 For ample seating, you also get four 36”-wide by 28”-high benches. 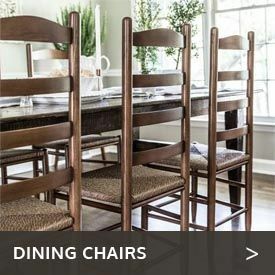 Besides table bench seating, seating choices include our Cedar Log-Style Captain’s Chair.